I pulled out some leftovers of cooked broccoli rabe, some salsicce (sausages) and a big piece of scamorza affumicata (smoked scamorza cheese) to prepare these. 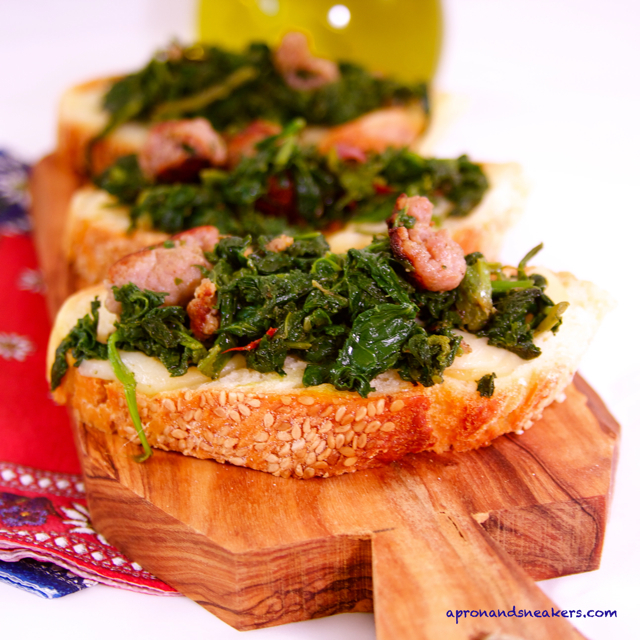 Normally, I would just cut the sausages in half, lengthwise, for each bread but since I didn't have so much, I took them out of their casings, crumbled them and mixed them with the broccoli rabe. The blending is still good as ever and the added flavor of scamorza affumicata made it more delectable. Four thumbs up for this recipe. Over medium heat, in a saucepan, sautè the garlic & chili with extra virgin olive oil. Add the anchovies when the garlic changes color. When the anchovies blend with the oil, add the broccoli rabe. Sautè over low-medium fire for about 20 minutes. Discard the garlic. There's no need to salt the vegetables because the anchovies should already provide the saltiness. Meantime, in another non-stick saucepan, over medium heat, cook the crumbled sausages without oil. The fat should seep out while cooking. 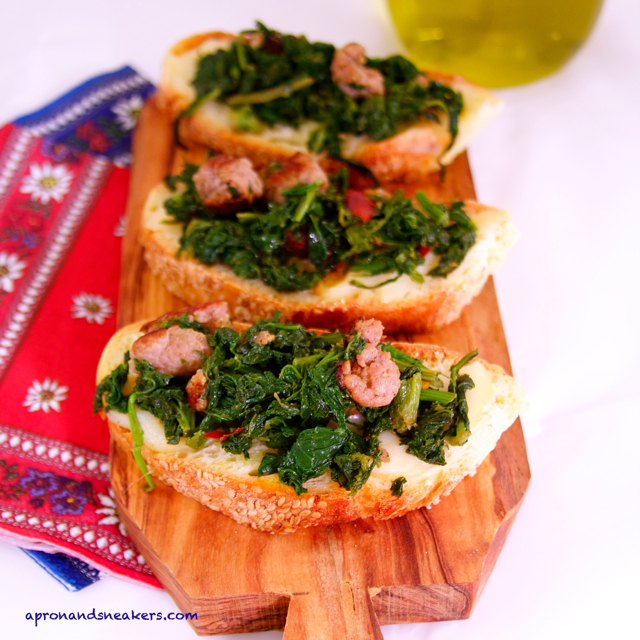 When they are already toasted well, mix with the broccoli rabe and cook together for about 10 minutes. Another option would be to leave the sausages in the casings, just cut them in half lengthwise. Brown both sides. Grill both sides of the slices of bread. Put a slice of scamorza affumicata on one side and grill again until it melts. 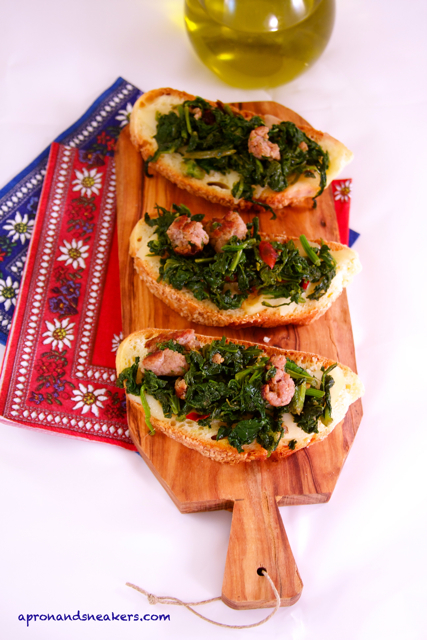 Put the broccoli rabe & sausages. Drizzle with good extra virgin olive oil on top. Serve warm.